We enjoyed working with our client at Fables to supply this stand for Hype Clothing. 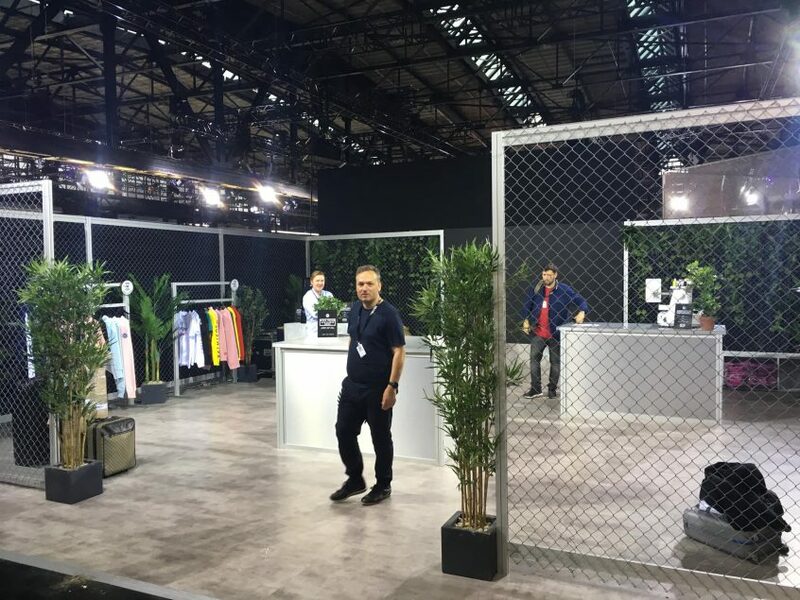 Modular walls combined with Cableflor raised floor, taking place at a fashion show in Berlin. We supplied a polished concrete floor with cable management, together with the wall frames, desks and clothes rails, all fabricated in-house from Octanorm. We’ve worked with a lot of different modular system over the years but Octanorm has the strongest and most enduring locks, which gives real peace of mind when dealing with expensive machinery and screens – it also looks fab!